Philadelphia Original Cream Cheese traces its roots back to 1872, and it has been the standard of high quality cream cheese ever since. Today, it is made with five simple ingredients and is perfect for adding creaminess to recipes. You already love it for cheesecakes and dips, but be sure to give it a try for making creamy pasta sauce, delectable no-bake desserts, and rich soups. 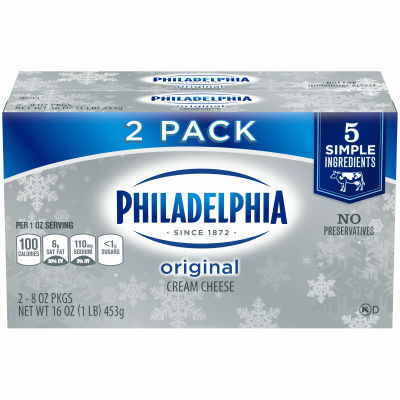 Make sure you always keep some on hand because everything seems just a little bit better with the creamy taste of Philly. Serving size 1 oz (28g/ 1/16 pkg).